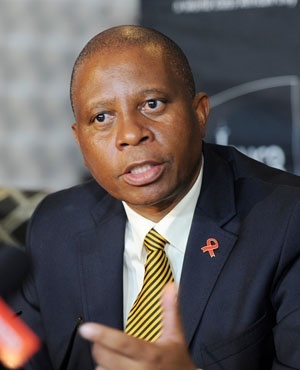 Minister of Public Enterprises Pravin Gordhan has accused Johannesburg Executive Mayor Herman Mashaba of using Denel to play petty politics between South Africa’s richest metro and the national government. This comes after Mashaba was reported to have implied that Gordhan misled Parliament in written replies to MPs when he said that the R290m loan facility that Denel accessed from the City of Joburg through Regiments Capital was legal. Gordhan has told Members of Parliament in a written reply to questions that the R290m loan which the Johannesburg Metropolitan Municipality paid to Denel was lawful. The Department of Public Enterprises released a statement on Wednesday in which Gordhan tore into Mashaba for casting doubt over the veracity of Gordhan’s reply to a question from Congress of the People MP Willi Madisha. "His latest public statements that I am being economical with the truth, by explaining the legality and details of the City of Johannesburg’s R290m loan facility to Denel imply that I have misled or lied to Parliament," said Gordhan. In his written reply, Gordhan told Madisha, Gordhan said the loan facility was approved by the Board of Denel on 4 September 2012. Government had approved the domestic medium term note in 2007-08 for R2.2bn, which provided for both secured and unsecured components. He said the Denel board approved the R290m facility on 4 September 2012, at a time when Denel was a profitable state-owned company with a healthy balance sheet. Gordhan maintained that his written response to the parliamentary question was correct and urged Mashaba to approach the department to discuss corrective measures if the city found that its relationship with Regiments was improper.